There’s a serenity in these beads from California’s Eriko Page on Instagram and on Facebook. 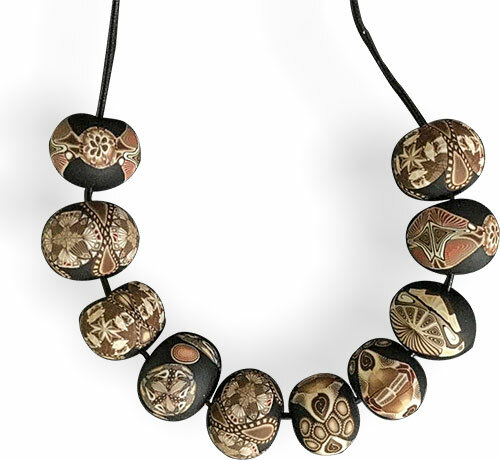 Her dark, limited palette beads on a single leather cord calm us on a Monday morning. You may want to drink in the feeling emanating from Eriko’s cane-covered black rounds before you head into your week.